We provide you with a focused, exclusive search, where you assign the responsibility of the search to HWA for an agreed search period (e.g. 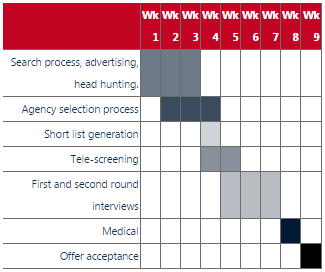 three weeks) Integrating headhunting, database search, referral search, reference checking and short list generation for the duration of an agreed exclusive search period. Of significance here is how your company and the opportunity are communicated to potential candidates.